Nicky has been practicing Hot Yoga since 1999. Nicky is a 300 hour Yoga Alliance recognized instructor. Certified in Barkan Method Level 1 in 2010 and Barkan Method Vinyasa in 2012. HYH opened in July of 2011. Nicky built Hot Yoga Helena with her own two hands and invites you to experience the love and peace of her beautiful little studio. Yoga trained in Advanced Barkan Method, Meghan Currie, Anna Forrest, and Yoga 4 Classrooms. My time spent as a physical therapist tech, a collegiate/semi-professional soccer player, a high school English teacher, a counselor, and a perpetual student of brain neurology all fuel my teachings. Courtney Cosgrove is a Momma to two amazing kiddos, a soccer coach, and an Attorney that specializes in civil litigation. Courtney trained in New York with the world renowned Baron Baptiste and is teaching a Baptiste inspired flow class! 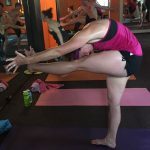 Amber has been practicing yoga for over 15 years and obtained her 200hr YTT certificate in 2012. 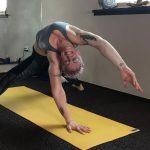 She became BUTI™ Yoga certified in March of 2018 and has loved sharing this with the HYH community. Yoga has been an integral part of her self-care and evolutionary process. Learning to move and be in the body and how that opens us up to deeper experience is an ongoing fascination and she loves to share this with her students. 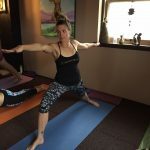 As a licensed massage therapist, she has an intimate knowledge of the body and posture and can help students in finding deeper expressions of a pose safely. Tyrel is a Helena native that has been practicing at HYH for two years. 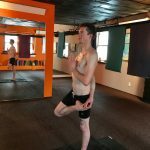 Trained by world renowned teachers at the premier Yoga Journal Live in New York City, Tyrel has found deep personal fulfillment through the teachings of Yoga. His class is specifically designed to target the entire body while maintaining a difficulty that everyone, no matter their experience level, can enjoy.